If you have an iPhone, the easiest and cheapest method is to get 50 iPhone Bird Song Ringtones for $9.99 here. If your smartphone can use mp3 ringtones, go here . Using the Myxer.com website below, Cardinal and Pewee are free to download. You can listen to all the the ringtones here, or buy them at $1.50 each. Profits from the sale of the ring tones, bird CD and bird DVD are donated to conservation organizations like the Nature Conservancy-- with over $30,000 generated already. You can also download all 50 birding ringtones as MP3 files for $9.99. 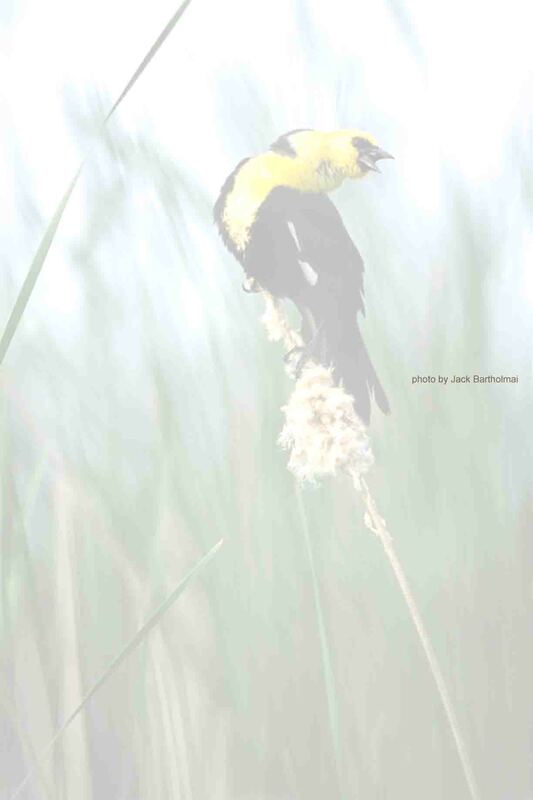 Or for iPhone users, get 50 bird call ringtones here. Click here to buy all 50 birdsong MP3 files for $9.99. These bird MP3 files will go to your computer's hard drive and can be manually uploaded to media players (like iPods) or cell phones (if your phone supports MP3 transfers from your computer). See FAQ below for more info. And don't forget to check out the Bird Song Ear Training Guide CD & Birds, Birds, Birds! DVD for learning bird and birdsong identification of close to 200 North American birds. An audio CD player or DVD player is all that is required. FAQ: Is my cell phone supported? To get the 2 Free ringtones from Myxer, your cellphone must support "True Music" ringtones (also known as "Music ringtones, True tones, or MP3 ringtones). If your phone only supports "polyphonic" or "monophonic" ringtones, it won't work. iPhone users should get the bird ringtones for iTunes here. What if it doesn't work in my cellphone? The ringtones at Myxer.com are free tones (Cardinal and Pewee) or $1.50 each. If that doesn't work and your phone supports MP3, try the MP3 Ringtones. If you have an iPhone, use this iphone birdsongs ringtones link. No refunds can be made once you pay for the transaction. Check your phone's instructions manual. If it supports manual MP3 transfers from your computer (with a cable or Bluetooth), you can download all MP3 files here. I downloaded the MP3 into my cell phone. Now what? Here are some suggestions, or check the cell phone's manual. I really want a (so and so bird) ringtone...who do I contact? You may contact the birdsong recordist (John Feith) at john@caculo.com . How do I learn more about birdsongs and birding by ear? American Bittern, Least Bittern, Brewer's Blackbird, Red-winged Blackbird, Rusty Blackbird, Yellow-headed Blackbird , Eastern Bluebird, Bobolink , Indigo Bunting, Northern Cardinal , Grey Catbird, Yellow-breasted Chat , Black-capped Chickadee, Boreal Chickadee , Greater Prairie Chicken, American Coot , Brown-headed Cowbird, Sandhill Crane, Brown Creeper, White-winged Crossbill, American Crow, Black billed Cuckoo , Yellow-billed Cuckoo, Dickcissel , Mourning Dove, Rock Dove , Short-billed Dowitcher, Wood Duck , Bald Eagle, Great Egret , House Finch, Purple Finch , Yellow-shafted Flicker, Acadian Flycatcher , Alder Flycatcher, Great-crested Flycatcher , Least Flycatcher, Olive-sided Flycatcher , Willow Flycatcher, Yellow-bellied Flycatcher , Blue-gray Gnatcatcher, American Goldfinch , Canada Goose, Northern Goshawk , Common Grackle, Pied-billed Grebe , Evening Grosbeak, Rose-breasted Grosbeak , Ruffed Grouse, Ring-billed Gull , Broad-winged Hawk, Red-shouldered Hawk , Red-tailed Hawk, Black-crowned Night Heron , Green Heron, Ruby-throated Hummingbird , Blue Jay, Grey Jay , Dark-eyed Junco, American Kestrel , Killdeer, Eastern Kingbird, Belted Kingfisher, Golden-crowned Kinglet , Ruby-crowned Kinglet, Horned Lark , Common Loon, Mallard , Purple Martin, Eastern Meadowlark , Western Meadowlark, Merlin , Common Moorhen, Red-breasted Nuthatch , White-breasted Nuthatch, Baltimore Oriole , Orchard Oriole, Barred Owl , Eastern Screech Owl, Great-horned Owl , Long-eared Owl, Northern Saw-whet Owl , Eastern Wood Pewee, Ring-necked Pheasant , Eastern Phoebe, Semipalmated Plover , Sora Rail, Virginia Rail , Yellow Rail, Common Raven , American Robin, Baird's Sandpiper , Pectoral Sandpiper, Semipalmated Sandpiper , Spotted Sandpiper, Upland Sandpiper , Yellow-bellied Sapsucker, Pine Siskin , Common Snipe, Sparrow Tree American , Chipping Sparrow, Clay-colored Sparrow , Field Sparrow, Grasshopper Sparrow , Henslow's Sparrow, House Sparrow , Lark Sparrow, Lincoln Sparrow , Savannah Sparrow, Song Sparrow , Swamp Sparrow, Vesper Sparrow , White-throated Sparrow, European Starling , Bank Swallow, Barn Swallow , Northern Rough-winged Swallow, Tree Swallow , Trumpeter Swan, Chimney Swift , Scarlet Tanager, Blue-winged Teal , Black Tern, Caspian Tern , Forster's Tern, Brown Thrasher , Hermit Thrush, Swainson's Thrush , Wood Thrush, Tufted Titmouse , Eastern Towhee, Wild Turkey , Veery, Bell's Vireo , Blue-headed Vireo, Philadelphia Vireo , Red-eyed Vireo, Warbling Vireo , Yellow-throated Vireo, Bay-breasted Warbler , Black and White Warbler, Blackburnian Warbler , Blackpoll Warbler, Black-throated Blue Warbler , Black-throated Green Warbler, Blue-winged Warbler , Canada Warbler, Cape May Warbler , Cerulean Warbler, Chestnut-sided Warbler , Connecticut Warbler, Golden-winged Warbler , Hooded Warbler, Kentucky Warbler , Magnolia Warbler, Mourning Warbler , Nashville Warbler, Ovenbird Warbler , Palm Warbler, Northern Parula , Pine Warbler, Prothonotary Warbler , Redstart Warbler, Tennessee Warbler , Wilson's Warbler, Worm-eating Warbler , Yellow Warbler, Common Yellowthroat, Yellow-rumped Warbler, Yellow-throated Warbler , Louisiana Waterthrush, Northern Waterthrush , Bohemian Waxwing, Cedar Waxwing , Whip-poor-will, Willet , American Woodcock, Downy Woodpecker , Hairy Woodpecker, Pileated Woodpecker , Red-bellied Woodpecker, Red-headed Woodpecker , Carolina Wren, House Wren , Marsh Wren, Sedge Wren , Winter Wren, Greater Yellowlegs , Lesser Yellowlegs. The bird DVD includes 30 more.